The prime minister of Tonga has challenged fellow Pacific leaders to a year-long weight-loss competition to combat soaring obesity levels in the region. The Pacific has the highest obesity rates in the world and Tonga leader Akilisi Pohiva said politicians needed to lead from the front to help curb the problem. "We should all get together for a weight-loss competition, for an entire year," he told the Samoa Observer in an interview published this week. "So when we meet the following year we will weigh in again and see who has lost the most. "It is not about who loses the most kilos but in order to shake off the weight, you must eat light and having that healthy mentality will go a long way." 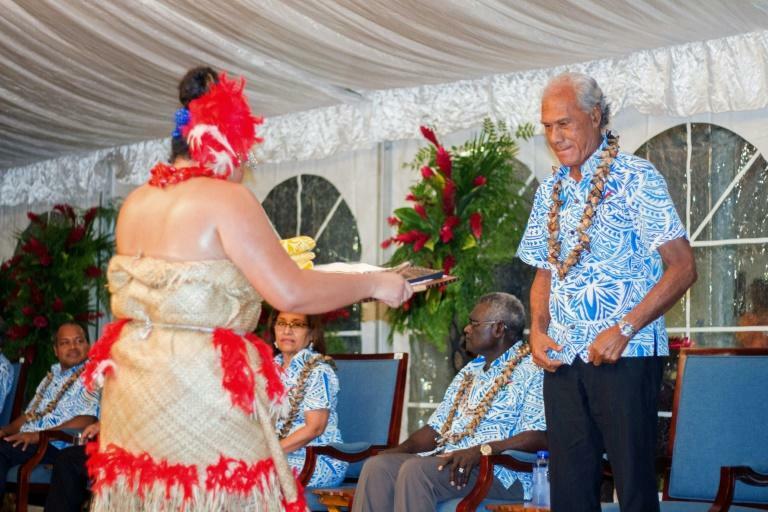 While Pohiva's proposal was light-hearted, he said the issue of obesity was a serious problem for the region that led to non-communicable diseases such as diabetes and heart disease. According to World Health Organisation data released in 2015, nine of the 10 most obese nations in the world are in the Pacific. Official statistics show non-communicable diseases account for about 75 percent of all deaths in the area, and diabetes rates exceed 40 percent in some island nations. Islanders' diets used to be dominated by fish, coconuts and fruit but are now heavily reliant on fatty imported meats, rice, and processed snack foods laden with sugar and fat. People in the Pacific have also long viewed copious amounts of food as a sign of prosperity, leading to an attitude that bigger is better. Pohiva, who did not disclose his own weight but has a trim physique, said the problems were well known and had been discussed extensively -- but it was time for Pacific leaders to act. "(It) has everything to do with our eating habits and our lifestyle and it is a complex issue when it comes to our Pacific people," he said. "And with Pacific Island leaders, we meet and talk and talk about this issue, yet initiatives on this issue is not making an impact, it doesn't seem to work." He said he would propose his weight-loss challenge at next month's Pacific Island Forum Leaders' Summit in Nauru.